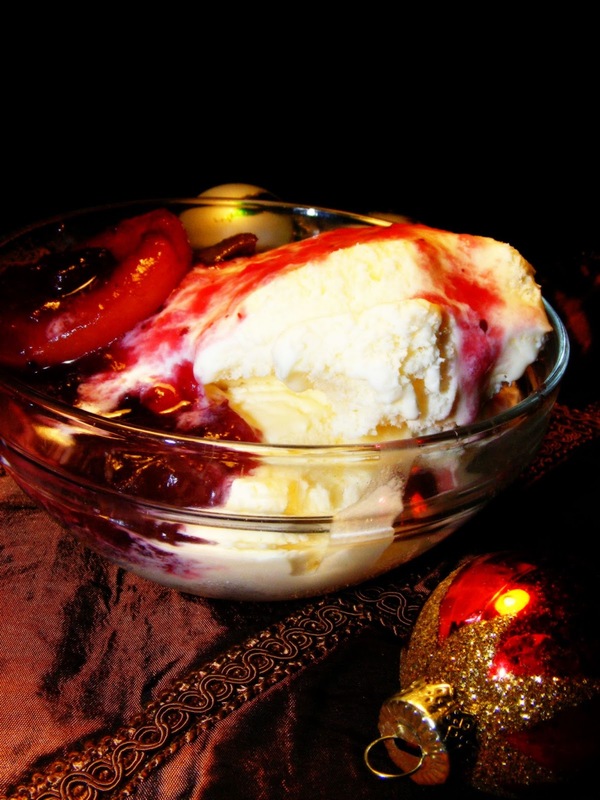 Surprise your guests after a delightful holiday meal with this apricot, jalapeno and cranberry sauce served warm over vanilla ice cream. It succeeds because of the sweet, peppery hot, tart flavors all complement each other so well. Plus it is beautiful and festive to the eye. So simple to make, you can boil down fresh peeled apricots and cranberries, using 1/2 cup of sugar for each cup of cranberries and about one half of a medium size jalapeno, sliced. This takes about two hours to cook down. Or if time is an issue just add one can of apricots, one can of cranberries ( which already contain sugar) and one half to a whole jalapeno. Let it simmer, for about 15 to 20 minutes. You will know it is ready when you can smell the jalapeno aroma.Take it off the stove and let cool just a few minutes then top your vanilla ice cream. This is so simple and so very elegant. If you have some left over, let it cool in the fridge, then layer it over cream cheese and serve with crackers as a party dip. Or use it to top baked brie. Oh la la y'all, it's party time.